This question was asked of The Lord: Lord, what do you say about new age #spirituality, #psychics, #mediums, #buddhism and the like? Thus says The Lord: All is wickedness, #deceptions clothed in falsehoods, presented to the masses under the guise of so-called #truth and #enlightenment, the wide path leading to destruction. For those who embrace such things cast stumbling stones at their own #feet, and those who #teach such things teach #doctrines of #demons, and shall surely fall into the #pit. Beware. For these #teachings are of the #spirit called #antichrist; propagated by those sent out by the #evil one to #disguise and pervert the Truth amongst the #people, to deceive the whole #world (and if it were possible, even the elect); cunning ones who seek only to #steal, #kill and #destroy, to the devouring of whole #nations. For the thoughts and desires of the people are perverse. 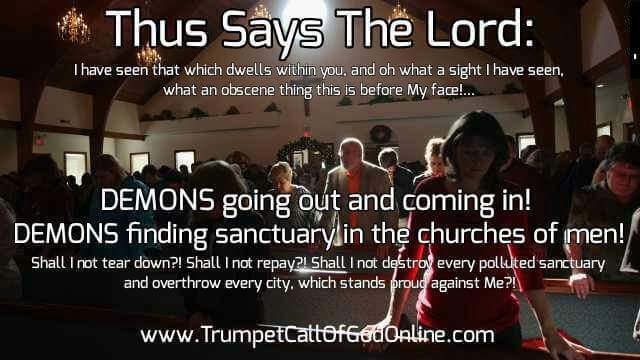 They practice #abomination, and do not retain God in their thoughts. They are consumed by #lust, easily devoured by their own evil #thoughts and #desires. In vain for they know not what. For I tell you the truth, what they call god is nothing! - Dead #works, useless #faith, all in all a leading away from The Truth; lies upon lies, deception hidden within deception, both great and subtle, vanity and vexation of spirit; falsehoods passed down from one #generation to the next, deceptions built upon the ever-shifting sands of #religion, #philosophy and #science, masquerading as #truth! For the evil one does indeed wear many disguises by which he ensnares the people, clever contrivances both subtle and obvious; #stones of stumbling, #rocks of offense, #abominations hidden under the guise of #peace and #enlightenment, full of self and self-indulgence - DELUSION! Yet the fulfillment they seek through #meditation and enlightenment leads only to #spiritual #starvation and bitter #thirst, as they wander aimlessly through a vast #desert of lies wherein all dead men’s #bones are found, hidden within the #mirage of #inner #peace. Sur le plan #mental, cette #PleineLune va exposer tout ce dont nous avons besoin pour nous #libérer et nous laisser aller. 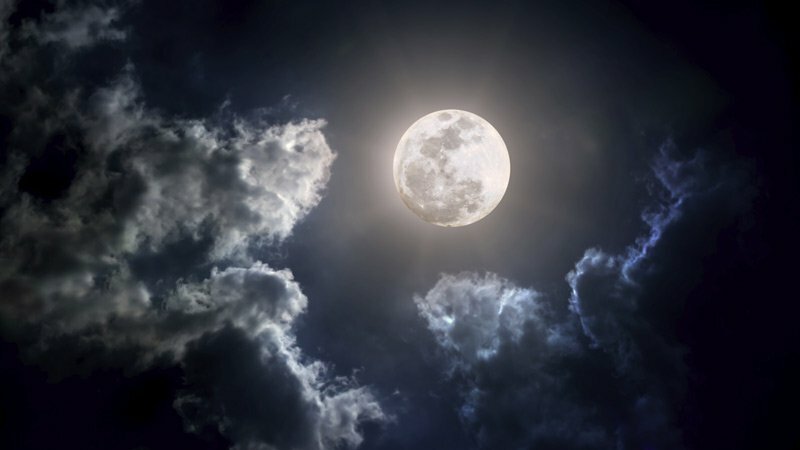 Bien que cela soit typique de la plupart des Pleines Lunes, sur cette Lune #Vierge, nous allons être encouragés à laisser tomber les #pensées répétitives, la sur-pensée, les #soucis et les #peurs de l’avenir. Elle fait Remonter des vieux #schémas de Fonctionnement, profondément ancrés, pour nous aider à en prendre #conscience et à les Libérer ! Il n’est pas impossible que nous soyons confrontés à des #expériences inconfortables, à des situations qui se reproduisent, à des circonstances qui Réveillent nos peurs ou nos vieux #démons !